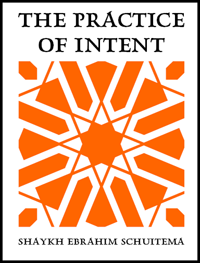 The Practice of Intent is a short treatise by Shaykh Ebrahim Schuitema where he sums up something remarkable in a very precise form. He provides a pathway to the essence of what and how of the Deen (the Path, the Journey and every encompassing the both) as a technology of transformation. Here Shaykh Ebrahim mentions how the journey is about the cultivation and polishing of intent, which is the very foundation of every action as well as existence (Remember the saying of our Master, may Allah bless him and grant him peace, "All actions are by their intentions" and "God says, I was a Hidden Treasure intending to be known, hence I manifested the creation"). The author in the role of a Sufi Teacher provides a very contemporary counsel while keeping the focus on some of the most basic aspects of the Deen. This is also the Shaykh's advice to his students and in parallel, his introduction to Sufism. The treatise is arranged in these sections: Introduction, Salah, Meditation, Keeping a Journal, Attention and few Appendices including the Wird of Shaykh Ebrahim Schuitema and his Aphorisms of Intent. In 'Salah' part he gives some unique tips and to increase awareness and fine tune our concentration during salah. There are many who wonder about concentration and focus in salah, the daily prayer of Islam, and insha'Allah they can find their answer. He pass on a very important but often over looked aspect when he says, "If one wishes to increase concentration in salah, then one must start concentration in wudu or ablution." This is a simple but very useful advice. Shaykh Ebrahim in the 'Meditation' part of this booklet gives a straight forward and one of the simplest method of meditation from Islamic Sufic perspective. Those who wonder where meditation can fit into the daily practices of a Muslim or any seeker in that matter, in a practical and useful way, here Shaykh Ebrahim is about to teach us something which we all can apply easily within our daily life since its nothing too technical or loaded with unnecessary details. He recommends to keep a daily journal or diary and reminds that 'any voyage of discovery has a ship's log'. In Keeping a Journal section the Shaykh writes: "The basic assumption that lies behind the intention of keeping a journal of your daily experience is that your life is a conversation with Allah. The 'other' that Allah presents to you in the moment you are in are the words He uses, and the Time is the grammar or syntax... Your day is a letter of correspondence from Allah to you. The moments are His words and the flow of the day is His grammar." Finally in the part 'Attention' the Shaykh provides a comparison of receptive vs. predatory way of attention and advices the reader to develop more of receptive attention so that we can be more aware and acknowledge of what is coming to us, i.e., what Allah is presenting to us, the blessing that is constantly present. The teachings of this section is about how to see things from an increasingly higher perspective and how to change from an ambiance of resentment to an ambiance of gratitude. In other discourses and writings of the Shaykh (outside this treatise) these are further elaborated, link is provided at the end of this post to find his writings and recording of discourses. This matter of ours is about freedom. It is a freedom of such magnitude, that its price is everything in existence and its prize is the whole of existence. There is no higher aspiration and it is therefore worthy of utterly single-minded commitment. In the face of this quest all other pursuits are trivial. By me having accepted this role the first thing you should understand is that there is very little I can do for you. There is also not a lot you can do for yourself, other than to cast yourself at practice with single minded intent. In this game you will discover that success lies on the other side of failure and is always brought to you by a design which is utterly inexplicable and completely outside of your ingenuity. You have to have expended your own resources first, though, before you can really say in you heart of hearts 'I give up. I submit'. In other words, 'I am in the state of Islam'. To be graced by this patterning of intent is to encapsulate the whole of existence in the Totality of the Self. Not to discover this is to spend a life in terror from the inevitable crushing by the Totality of the Other. This journey is about the cultivation and polishing of intent. 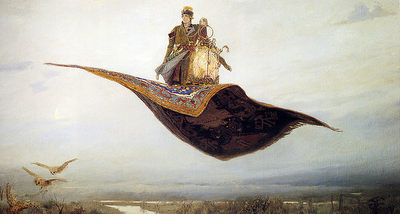 In this process the first thing one needs to do is take the flying carpet called the musalla off the wall as an object of worship and to stand on it. The deen is a technology of transformation, and it gets ruined in the hands of the sanctimonious who seek to turn it into a cultural identity. As a technology of transformation it is staggeringly powerful. And so a good place to start is with the basics. If you are not praying regularly then do so. 5 times a day. Also keep up all 5 the pillars. Beyond this I recommend that you start keeping a daily journal or diary (any voyage of discovery has a ship's log). Every week read the daily entries and summarise them. Every month read the weekly summaries and summarise them again. Every Quarter summarise the three months and every year summarise the quarters. The effect of this is to deliberately pull you out of the minutiae of day to day events and to see things from an increasingly higher perspective. We need to govern our wayfaring with common sense. 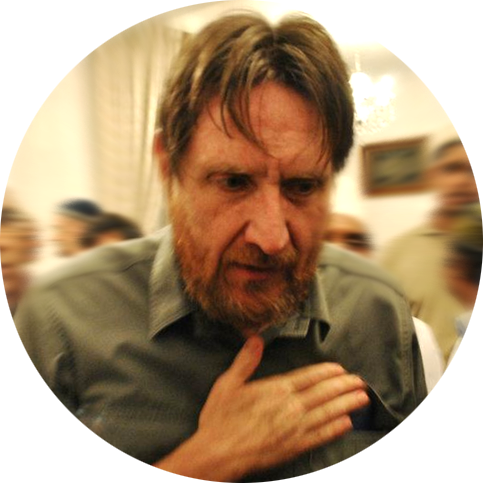 There are so many staggering excesses being committed in the name of tassawuf that we very often get lost in a maze of mystification and obscurantist nonsense. 1. If you can't translate something which is being said to you into plain English that makes a pragmatic contribution to the issue you are struggling with then be careful. 6. Commit to the five pillars and most particularly your salaat as a non-negotiable cornerstone of your practice. This is a call of Shaykh Ebrahim as he mentions in the way of introduction: "We are living in critical times and these times demand that everybody become the authority. If you find any of the following practices useful it is imperative that you pass them on to others as this matter is about the survival of our planet. We must try to get as many people as possible to forgo their own agenda and learn how to be receptive, so that they can see what Allah is bringing to them. Islam or submission means that you forgo what you are focusing on and your own agenda and you allow or open up your attention to see what Allah is bringing to you, to Allah's agenda." Shaykh Ebrahim Schuitema is a Sufi Teacher from the Darqawi-Shadhiliya Tariqa and currently lives at Gauteng, near Johannesburg, South Africa. Shaykh Ebrahim received his chain of transmission in the Tariqa from the late Shaykh Mustafa Bassir of Morrocco, may Allah bless his soul. His center known as Zawia Ebrahim is situated in the Walker Fruit Farms in Gauteng near Johannesburg, South Africa. The Zawia was founded in 2000 by the Shaykh, may Allah bless him and grant him good life. For a collection of audio and literature by Shaykh Ebrahim and members of the Zawia visit here. 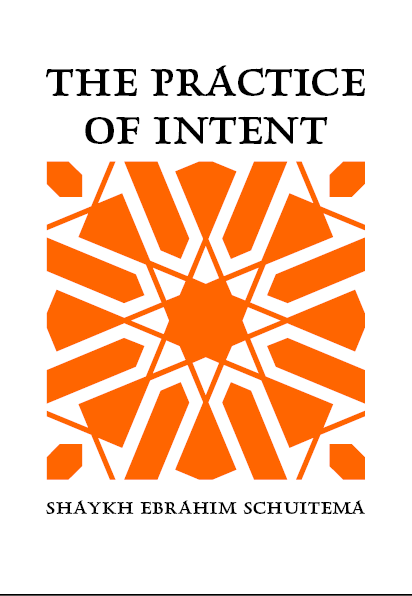 The Practice of Intent is a short treatise by Shaykh Ebrahim Schuitema where Shaykh Ebrahim sums up something remarkable in a very precise form. He almost sums up the essence of how and what of the Deen (the Path, the Journey and every encompassing it) as a technology of transformation.